We try to do all that we can to keep you up to date with what’s going on in the world of Hyundai, but it’s impossible to bring you everything that you need to know. The designs and features of all vehicles in the Hyundai line-up seem to be in a constant state of change, and while that is certainly exciting, it’s tough to keep up with. If you want to dig a little deeper into the world of Hyundai and the vehicles that they make, you need to pay a visit to the official Hyundai website. 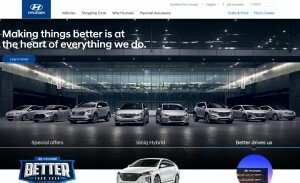 The Hyundai USA website is a veritable treasure trove of great information, and is where you need to go if you are in the market for a new car, but are not sure which model is best for you. You get to take a closer look at all the vehicles in the line-up, which includes digging a little deeper into each specific trim level. One of the coolest features on the Hyundai website is the ability to take the car of your choice and build it exactly how you want it. Once you are done, you get a new Hyundai price quote letting you know exactly how much you would pay for that specific model. You can pick and choose the features you want, and even see how the vehicle looks with all the different exterior color options. Once you know exactly what you want, the next step is to locate a dealer in your area. Not only can you find all the dealers in your area via the Hyundai website, you can also look at each one to see exactly what they have in stock. You can save yourself a ton of time by knowing exactly where to go to get the exact vehicle that you want. You can also use the website to get your credit score and financing, making it possible to have all your finances in order before you head to the showroom to pick up the car you want. 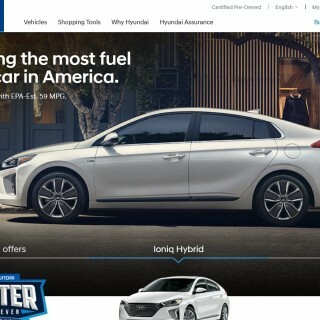 The official Hyundai site is also the place to go to get details on all the latest deals and incentives, and also to keep up with the latest news, although we believe that we do a pretty solid job of keeping you updated on all the major news right here on our little corner of the internet. If you want to know even more about the South Korean car company and what they are doing on a global scale, we recommend that you check out the Hyundai corporate website. It’s cool to go there and take a look at some of the models that are available in other parts of the world, but not here in the US. Some of the newer vehicles get a domestic release first, so going to the main website gives you an idea of what to look forward to when those new models finally arrive in North America. Between the Hyundai US website and our site, you are totally covered with all you need to know about this cool car brand.